HONG KONG.- Sotheby’s Hong Kong Chinese Ceramics and Works of Art Spring Sale 2009 will be held on 8th April, 2009 at the Hong Kong Convention and Exhibition Centre. An exceptional collection of rare and magnificent imperial Chinese Ceramics and works of art from the Tang, Ming and Qing dynasties will be featured. Together with two extraordinary sales, a total of over 70 lots will be offered and the sale is estimated to fetch HK$200 million. The eight treasures of porcelain that form the remarkable collection to be offered this April in Hong Kong were quietly acquired during the 1960s with the discerning eye of a connoisseur and none of the pieces have ever resurfaced in the last 40 years. All eight pieces were produced during the reigns of the Yongzheng and Qianlong emperors, under whose patronage porcelain production reached heights of refinement and creativity never to be surpassed again. Most of the key decorative trends in Imperial porcelain of the high Qing period are represented in this fine group. The estimate for the eight lots is HK$50-73 million. 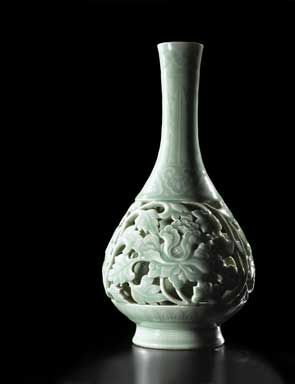 The piece-de-resistance in this collection is a magnificent Celadon-glazed Reticulated Vase (est. HK$15-20 million) intricately pierced around the generous belly to reveal on the exterior two elegant peonies borne on an undulating leafy stem. The vase is cleverly supported on the inside by an inner vase. The striking balance between elegance of form, sobriety of colour and technical prowess is characteristic of the great period of innovation in porcelain under the legendary Imperial kiln supervisor Tang Ying, when new techniques and increasingly daring showpieces were produced. 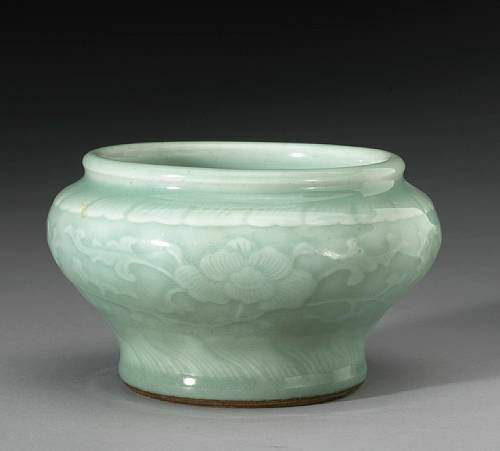 The present vase harks back to a Longquan celadon prototype produced in Zhejiang province, not far from Hangzhou, during the Ming dynasty around three hundred years earlier and it is indeed at the Longquan kilns that such openwork vases were first produced. Although the Longquan prototype lacks the refinement of its 18th century counterpart, the design, colour and proportion are unmistakably the source of inspiration. There only exists one similar vase to the present one, most probably the pair to it, which has been passed down in the Imperial collection and remains today in the Palace Museum, Beijing. produced with monochrome glazes and underglaze-painted decoration. It is one of the rare Kangxi shapes that continued into the Yongzheng reign. Its decoration is highly unusual in its distinctly Daoist message, reflecting the Yongzheng Emperor’s well known interest in Daoist ideas and practices. 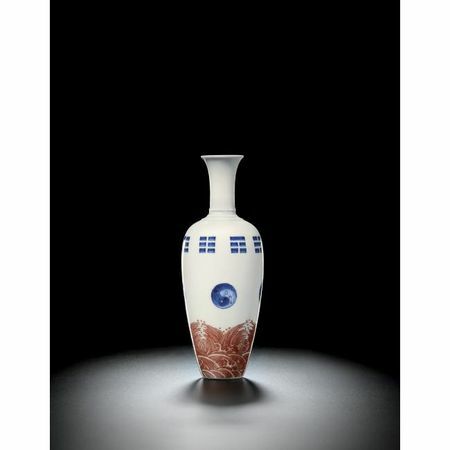 The companion piece to the present vase is in the Meiyintang collection. The fourteen exquisite pieces of furniture offered from the Biegucang Collection in Hong Kong this Spring represent the superb workmanship of artists and craftsmen employed in the Imperial Furniture Workshop (Yu Yong Jian) during the Ming and early Qing Dynasties. 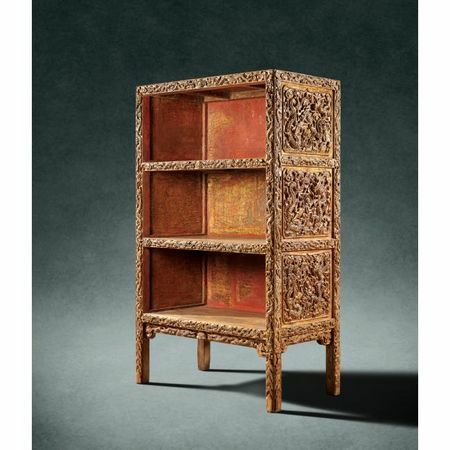 The Ming (1368-1644) and Qing (1644-1911) dynasties are generally regarded as the zenith of Chinese furniture making. Furniture construction was raised to an unsurpassed level of technical perfection allowing many of the pieces, which were used on daily basis, to survive for over four centuries. 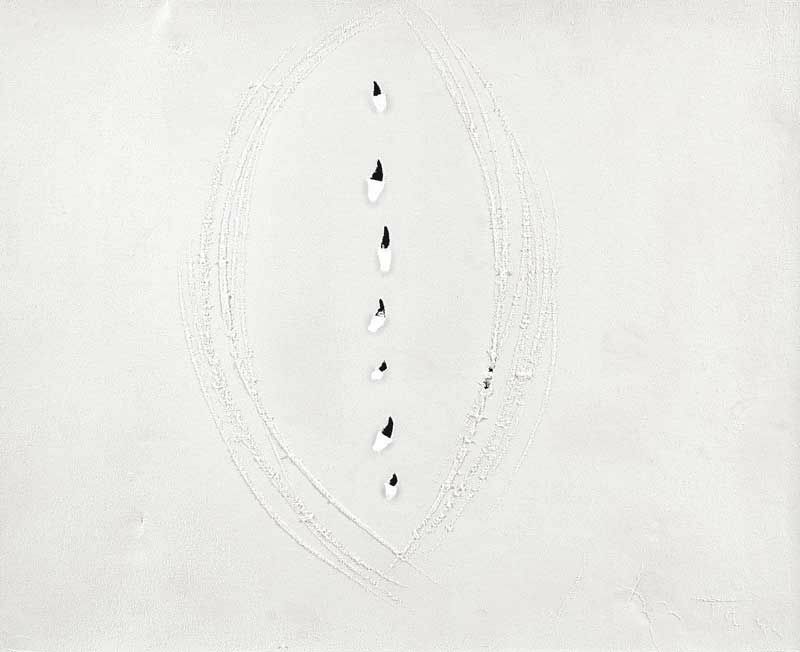 The estimate for the collection is HK$48.6 million. The Biegucang collection contains four pieces inscribed with the Wanli reign mark, a confirmation of their Imperial origins. All imperial furniture was manufactured in the Imperial Furniture Workshop and was made for specific halls and palaces within the Forbidden City. 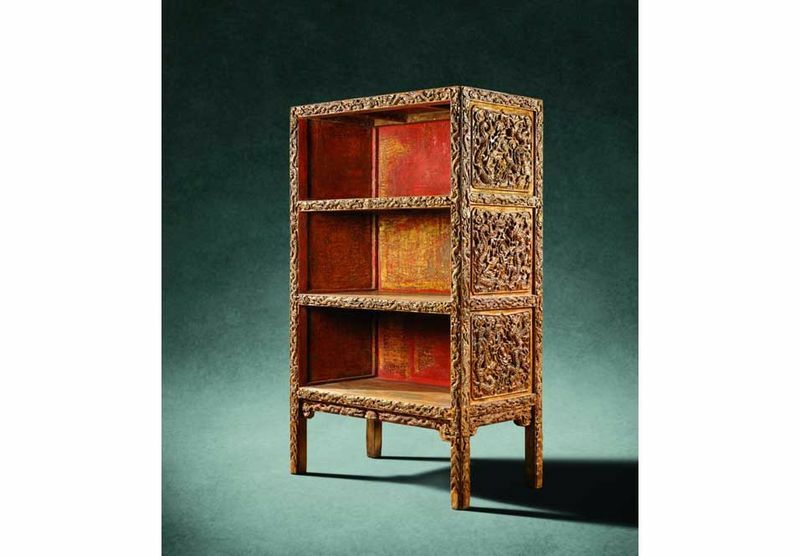 The number of Wanli-marked furniture pieces extant to this day is very limited and the Biegucang collection represents perhaps the largest group, apart from the collection of the Palace Museum Beijing and that of the Musée Guimet in Paris. This season Sotheby's will offer an extraordinary single lot - The Magnificent Large Tortoiseshell Octagonal Box and Cover Inlaid with Mother-of-pearl (expected to fetch in excess of HK$40 million). The tortoiseshell box is an object of the utmost luxury, of outstanding craftsmanship and elegance which embodies the mature style of the ‘High Tang’ period of the mid-8th century. The materials used in the manufacture of this box were among the most precious of the day. 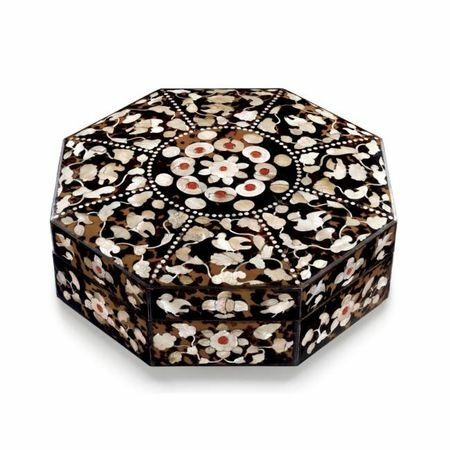 This is one of the only three almost identical tortoise-shell boxes inlaid with motherof- pearl and amber, all probably originally preserved in the Shosoin. Of the other two, one still remains in the Shosoin, the other is preserved in the Museum Yamato Bunkakan, also in Nara. No other extremely large tortoiseshell item appears otherwise to be extant from the Tang dynasty. The box remaining in the Todaiji repository is one of Shosoin’s most celebrated treasures and has frequently been published and exhibited. 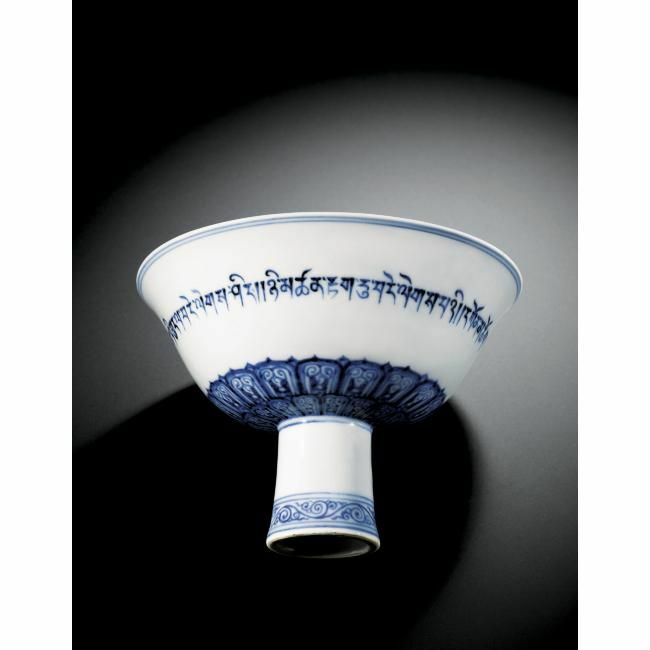 Another highlight of the sale is An Extremely Rare Blue and White Stembowl with Tibetan Inscription (expected to fetch in excess of HK$20 million). The wares made during Xuande’s short ten-reign are considered by connoisseurs to be one of the greatest periods of porcelain production, in terms of quantity, quality, and variety of forms. What is remarkable about this striking stembowl, is that it is faintly inscribed on the interior in a complicated technique called ‘anhua’, or impressed hidden decoration, which was an decorative innovation that began during his father’s reign (the Yongle emperor r. 1403-24). The ‘secret’ decoration is hidden beneath a layer of white glaze and can only be seen when held to the light. The inscription is a Buddhist prayer for peace and tranquility written in Tibetan lança characters encircling the rare engraved four-character reign mark in the well and is repeated on the exterior in underglaze blue. Three other known bowls with similar decoration are all in museums.